This 40 acre facility is nestled in the juniper-pinon forests of the east mountains 9 miles south of Tijeras. Take I-40 east to exit 175 (Tijeras exit). Keep slightly to the right. Go straight through the light. Follow NM337 (S14) for 9 miles. Watch for the Carolino Canyon park signs and the CCF yard signs. Carolino Canyon Park is on the north side of the road. If you see the fire station you’ve gone too far. Picnic Area The lower picnic area is just right for company picnics and extended family gatherings. 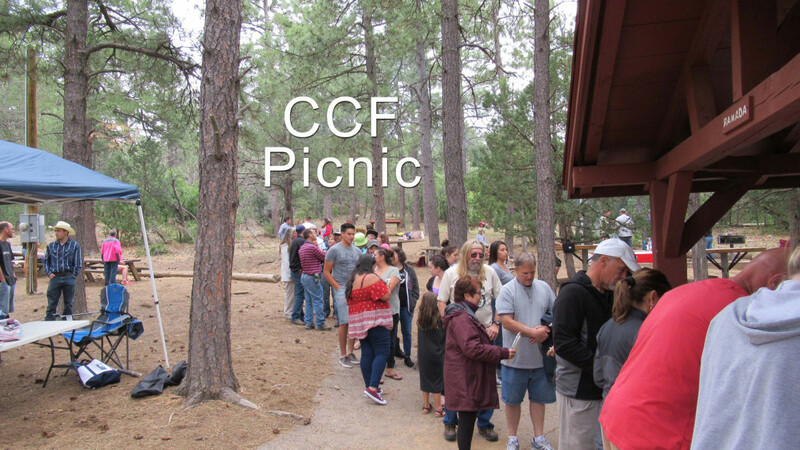 It has a large shelter, shaded tables with numerous small picnic areas, charcoal grills and a fire pit. Restrooms, water, and electricity are available. Games: A playing field is available for volleyball, tether-ball, and horseshoes.